Come with us on the most exciting half day Jet Boating adventure in New Zealand beneath the spectacular scenery of Glaciers & Lord of the Rings film locations, into Mount Aspiring National Park, part of Te Wahipounamu World Heritage area. Location: The Matukituki River. Beyond stunning, the Matukituki is the most spectacular jet boating river in New Zealand. Deep in the mountains & off the beaten track, enjoy a 50-minute remote walk through moss covered forest, waterfalls and glacier fed streams. Walk in awe beneath Avalanche Glacier when conditions permit or into McGills Creek to explore one of the most beautiful and serene forest walks. Hear the stories of this unique ice carved landscape and see photo opportunities not to miss. The only jet boat company to see Mount Aspiring and Glaciers- make Wanaka River Journeys number one on your list of things to do while visiting Wanaka and Queenstown. For the experience of a lifetime join us on New Zealand’s only Jet Boat, Walk & Packraft adventure; deep into the mountains of middle earth. Jet boat the spectacular Matukituki River beneath glaciers and Mount Aspiring. Speed through shallow braids, drift into turns and hold on for cool spins, traveling to a place special and serene, surrounded by mountains, glaciers, waterfalls and forests. Walk with your pack raft & guide through the forest to our remote “beach” beneath a Glacier. This beautiful short hike to a calm and peaceful pool is a taste of the spectacular river adventure to come; here you will inflate and learn to paddle your rafts, have fun in the river flow & rock the photos before lunch. Packraft this pristine grade 1-2 river, ride the wave trains and paddle into calm eddies to surround yourself in nature in a valley so breathtaking you won't want to leave. These small, lightweight and stable inflatable craft are perfect for those who want a real wilderness river experience in a safe and guided environment. The perfect mix of fun, excitement and adventure in the most beautiful landscape there is. Join us on the most unique of all jet boating experiences; a Glacier helicopter flight from the Jet Boat on the Matukituki River. This is an incredible opportunity to fly by helicopter direct from the jet boat located deep in the mountains, on a thrilling up-close look at the glaciers. On this scenic helicopter flight see hanging valleys where glaciers once lay and waterfalls that cascade from under giants of ice into the streams and rivers that feed into the Matukituki River. When conditions permit land on the spectacular Isobel Glacier and disembark the helicopter for photos before flying back to join the guided wilderness walk and return leg of the Jet Boat Journey. Flight time with Aspiring Helicopters approx. 25 minutes includes a Glacier or snow landing. This is the most exciting and unique jet boat + wilderness walk + glacier helicopter flight adventure activity in New Zealand. Want to explore more? Join our full day Jet boat & Wilderness Walk followed by a 4WD Farm Safari, climbing to spectacular views above Lake Wanaka & the Matukituki Valley. 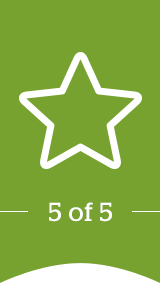 6 stars! Highlight of trip! A MUST DO IN WANAKA!